Vitamin A is an essential vitamin that plays an integral role in your dog’s health. It is highly soluble thus easily absorbed via the digestive tract. There are many sources of vitamin A but only a few of them are beneficial to your dog. If your dog is to be healthy, you have to find the right sources of vitamin A for him. And since he is carnivorous, you already have the first clue of the best sources of the vitamin for him. Some dog owners also choose to add Vitamin A pet supplements to their dog’s diet. Most of this supplements are either in tablet, powder or solution form. The first option to ensure your dog is getting his vitamins is by switching him to a raw diet. This way, you will be able to feed him the choice organ meats that are rich in vitamin A. The liver is a rich source of vitamin A for your Dog. In addition, water packed sardines and canned tuna pack the vitamin as well as omega 3 fatty acids as a bonus. Vitamin A is also present in vegetables as carotene. Fortunately, dogs are able to digest carotene and convert it to vitamin A; not so much for cats. So as you feed him a raw diet, try and incorporate some vegetables as well. Fish oil and Cod liver oil are great sources of vitamin A as well. However, you have to ensure you are buying from a brand that sells quality pet care products. Moreover, you have to refrigerate the oil to prevent them from developing a funny taste. And best believe your dog will know the difference. 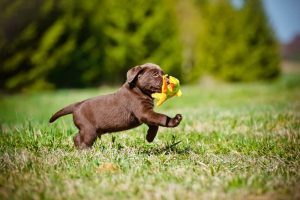 Another great source of vitamin A is through Vitamin A pet supplements. Vets recommend supplementation as it ensures your dog gets the vitamin in its required dosage. If he doesn’t like chewing on tablets, just get the water-soluble supplement and mix it with his drinking water. Quality pet supplements sold today even have a natural beef flavor. Vitamin A has scores of benefits to your dog. To begin with, it plays a major role in the healthy functioning of your dog’s lungs, kidney, and liver. This vitamin directly fuels all the physiological processes that occur in these organs. In short, if you want do not want your dog’s self-detoxification system to be interrupted, just ensure his liver has enough vitamin A.
Secondly, vitamin A is important for your dog’s sight as it enhances night vision. Moreover, this vitamin promotes strong muscles, healthy skin, and a lustrous coat. In small pups, vitamin A is one of the nutrients that aid in proper body growth from the skeletal structure to the body tissues. Vitamin A has also been linked to fertility in dogs. If your canine friend is female, this vitamin will help in her ovulation process. For the male pooch, vitamin A helps in the production of healthy sperms as well as the proper development of his sexual organs. Vitamin A is a necessary nutrient in your dog’s diet. However, you have to ensure he is getting it in its right form to reap the benefits. Feed your dog with vitamin A pet supplements to ensure he gets the vitamin in its recommended dose.